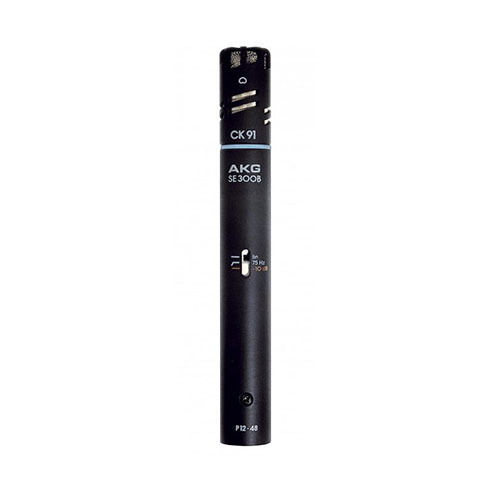 The CK91 high-performance small condenser capsule is characterized by a smooth and well-balanced frequency response and a consistent cardioid polar pattern. It is the ideal choice for critical live and studio broadcast applications where consistent suppression of off-axis sound is required. The CK91 is part of the Blue Line Series and works exclusively with the SE300 B pre-amp module. Its robust Modulock bayonet coupling allows quick and easy changing of the capsules.